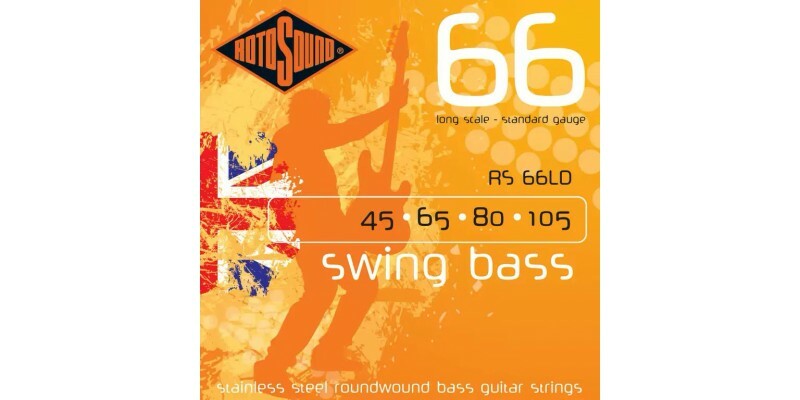 Rotosound Swing Bass 66 RS66LD are the most popular bass guitar strings we sell. Standard 45-105 gauge and made from stainless steel. The most popular Roundwound bass string ever. Rotosound was the first string company to produce this kind of string. Introduced in 1962 it changed the sound of the instrument instantly. The favourite string of many players including Billy Sheehan, John Paul Jones and Geddy Lee. Available in all popular gauges and scale lengths. The steel used to produce these strings is unique, combined with a highly secretive manufacturing process.